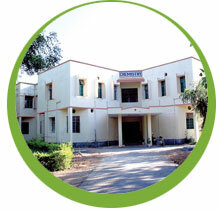 Established in 1967, it offers courses such as Five Years Integrated M.Sc.course in Chemistry in M.Sc. Chemistry, M.Sc (Chemistry) with specializations in organic, inorganic chemistry and physical chemistry. In addition to these, the department offers Ph.D programme besides Ph.D. programme. Now 12 affiliated colleges and two constituent colleges are offering M.Sc. Chemistry course in the University jurisdiction.